A new Isle of Man ferry terminal could cost up to £30m and open in Liverpool in 2021, the Manx government said. Manx Infrastructure Minister Ray Harmer said the deal was "vital to... ensure significant improvements for ferry users". In May, the Manx government bought the Isle of Man Steam Packet Company (IoMSPC) - the island's sole ferry operator - for £124m. Mr Harmer said: "This agreement now means the Isle of Man Government has complete control over its lifeline sea links to the UK." The new Liverpool terminal will also have improved highway access as part of Liverpool City Council's City Centre Connectivity project. 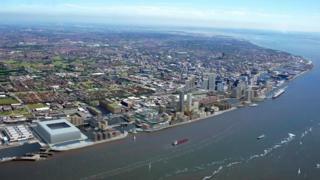 Liverpool City Council has yet to receive a planning application for the project.